Smart home automation in Windermere provides homeowners with peace of mind, convenience and efficiency. They also make it possible to automate systems and equipment, ranging anywhere from home security to thermostat control. For instance, with a smartphone acting as a control hub, homeowners can remotely observe video cameras, lock or unlock doors, turn on lights or automatically shut off the water to their home if a leak is discovered. But as this technology is incorporated into more homes, the potential exists for a number of home security weaknesses and worries. With so many possibilities, there are a number of decisions homeowners need to make. Following are our top tips to consider when choosing smart home automation in Windermere. 1. Determine which features matter most. Many homeowners want specific solutions, which can lead to a number of devices that do not communicate. Picking them on an individual basis can leave a homeowner with a dozen different apps and ways to control their home. There are two general types of home automation choices – service provider solutions, which may come with monthly fees, and individual smart products, such as smart TVs and thermostats. Individual devices can be linked by a smart home automation hub, but it is important to select a hub that supports all of the devices you want to control. 2. Smart home automation in Windermere protects your home. These devices can help homeowners manage their risk by providing remote monitoring, alerts and control of a home’s systems. If these systems were to fail and remain unnoticed, there could be costly consequences. Smart thermostats can deliver alerts if a home loses power or if the temperature inside the home falls below or rises above a predetermined limit. Water sensors can identify unwanted water in the home and alert the owner to potential leaks. Smoke, heat and carbon monoxide detectors that interface with a central hub or mobile apps are available to provide remote monitoring and control capabilities beyond the traditional alarm system. 3. Smart home automation in Windermere can provide the following protection measures. • Remotely control and monitor home entry. • Control or program lights when you no one is home, in order to make a home appear occupied. • Motion lights and exterior lighting provide remote programming and monitoring. • Connected security cameras monitor a home and motion sensors can provide alerts. 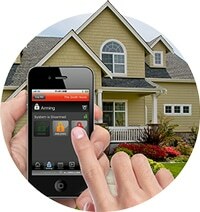 • Doorbell alerts observe activity at the front door and let homeowners to remotely view and/or photograph visitors. • Garage door delivers alerts when the door is left open and lets the homeowner close it from a distance. 4. Understanding privacy concerns. With the Internet, monitoring, sharing and possibly selling consumer data, some smart coffee makers, dishwashers and thermostats now come with privacy policies. Without these solid privacy laws in place, it is up to the consumer to review agreements for each individual device and be comfortable with how data from smart home devices are used and shared. 5. Securing the system for your smart home automation in Windermere. It is also important to safeguard your devices to protect against hackers and other intrusions. Safety features can vary extensively by manufacturer and by individual product. Before buying, evaluate each smart device for potential safety and security issues. Devices that are hard-wired to the Internet (rather than those that rely on a Wi-Fi connection) tend to be safer. If a device is linked through a wireless network, utilize all security features to protect against interception of signals and make sure the device provides an alert if the connection is lost. Remember that passwords are the first line of defense, so be sure to create a strong password for each one of your smart devices. Wondering if your home and family are vulnerable to these concerns? Don’t take any chances – call our office today for more information on how you can protect them with smart home automation in Windermere.